To be in the first 10 places in the search engines results is what every web site wants. You probably have asked yourself how some web sites have achieved these places. In this post I will tell you the reasons why you are still not showing up in the firsts results and how you could be there. 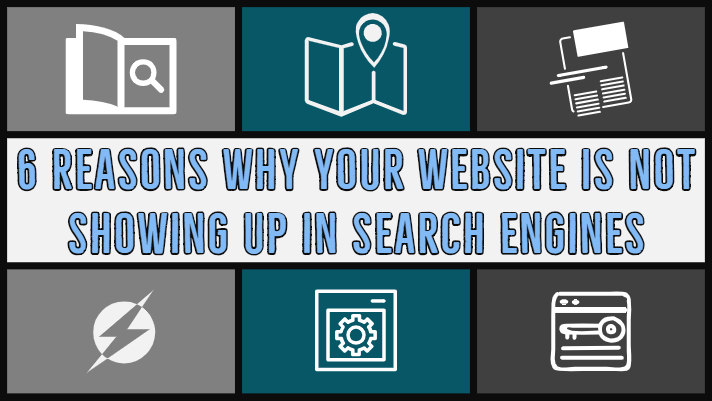 If your website is new, it can take up to a week or more for a search engine to find it. Once the search engines track your site, it will take one or two weeks more for it to show up in the index. Remember it is easier to create links to make search engines track your site. 2. Your website is not optimized for search engines to track it. Search engine optimization (SEO) is very important here. The crawlers or spiders that track your website, scan it to find meta description, keywords, relevant content and many other factors. It is important for you to develop strategies for a good optimization of your site. Once the search engines indexed your site and you have added the keywords to all your webpages, your website will begin to show in the search results requested. The text in your website must be optimized and organized with an efficient keyword strategy. Don’t forget that search engines detect the overload of keywords in the web page text, so the flow of these must be very natural. The content you share must be attractive, also simple and concise, since the attention span from your audience will be short. Make your content be unique and interesting! It is true that Flash animation can be visually attractive, but very few crawlers from search engines understand them. That is, Flash elements from a web page, including links and text, are not invisible to many visiting spiders, so using them turns out to be pointless. By optimizing your site through SEO, you can personalize it so that it would be easy to identify by search engines. SEO can be a long and difficult process. So, the more research you put into practice, the better results you will get in your classifications. The main goal of search engines is to help millions of users around the world to surf the web and find a specific content. With this said, you must select a market of keywords less competitive, this way you will be able to catch your customer’s attention. Remember that your site could gain results for search engines, but if the keywords are too general, it can be lost in the confusion. How to gain more visibility? Make sure to be referred and linked from other popular websites. Now that you know the possible cause of your website not showing up among the top results, it is time to take action and make it more visible. A good optimization can be the first step. Good luck!